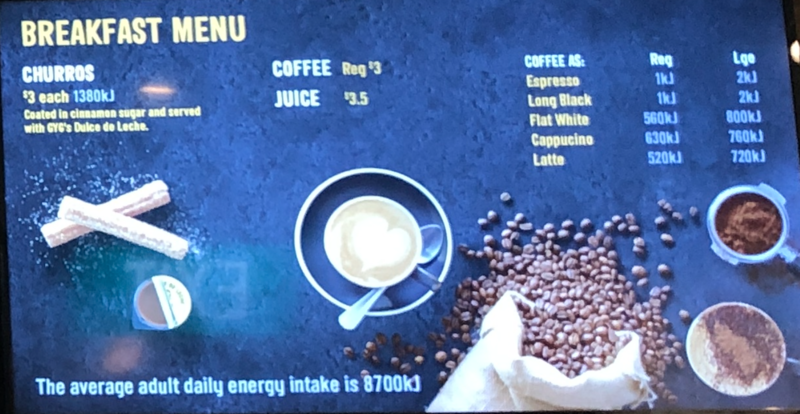 Compared to their all-day menu, Guzman y Gomez’s breakfast lineup, which consists mostly of classic Mexican fare given the “brunch treatment”, is pretty compact. Which is a good thing, given customers won’t be too spoilt for choice having to make a quick pick during the morning rush hour! 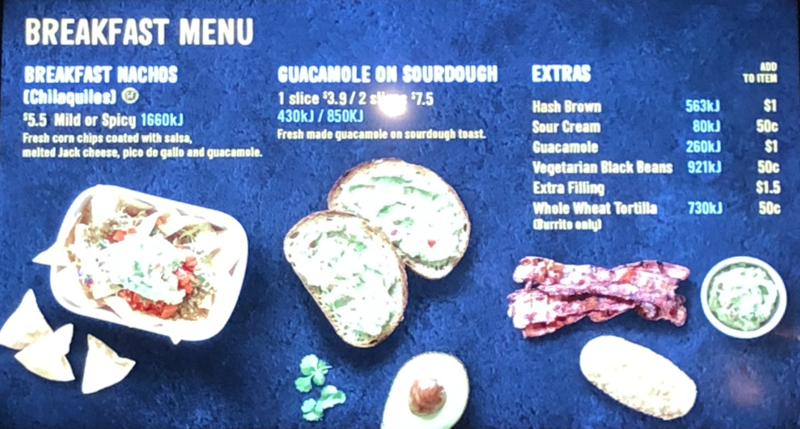 The Guacamole on Sourdough ($3.90 for one slice; $7.50 for two slices) brings to mind the ever ubiquitous avocado toast from hipster cafe brunches. The guacamole had a perfectly creamy texture, with just a bit more salt needed to get that savoury oomph. A great breakfast item that’s not too filling though, if you ask me. Plus, the sourdough yielded a pretty firm bite even after some extensive photo taking #justfoodbloggerproblems. Heartier items include the Breakfast Burritos ($6.90), available with both mild and spicy versions of bacon or sautéed vegetable fillings. With free range scrambled eggs, hash brown, jack cheese, and pico de gallo generously packed in, these tube-shaped babies will hit the spot if you’re craving a classic Western breakfast in a more compact, convenient package. Thumbs up for the hash brown staying crisp! 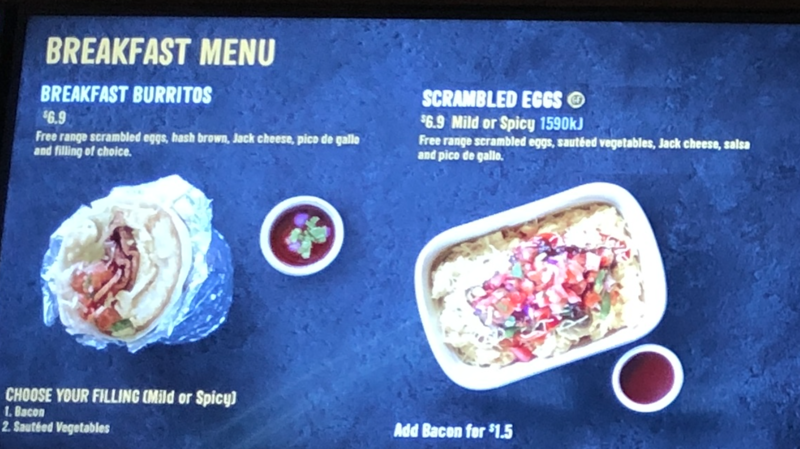 The Scrambled Eggs ($6.90) is a plated version of the Breakfast Burritos, minus the hash brown, bacon, and wrap.Eggs are an important part of breakfast, and I was pretty impressed Guzman y Gomez managed to master this better than some cafes out there. The sautéed vegetables and pico de gallo also added some interesting flavours to the scrambled eggs, which were light and fluffy. The Breakfast Nachos ($5.50) seemed a tad out of place, but hey – no one ever said no to a good plate of nachos any time of the day! With dangerously addictive Breakfast Burritos and Guacamole Toast, it’s hard to not want to head over to the conveniently located Guzman y Gomez in Tanjong Pagar Centre for a bite before work. Thanks for having me over for breakfast!